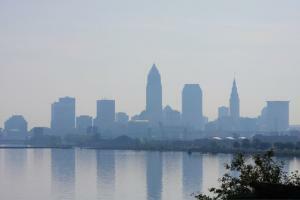 24/7 x 365 City Wide Prayer Shield for Greater Cleveland, Ohio. God is on the move in Cleveland and as members of the Body of Christ here in Cleveland Ohio we want to help host 24/7 prayer..WHY? Because The Scriptures testify repeatedly the value of continual prayer. Church history testifies to the efforts and value of continual prayer. The City seems designated to be a primary focus of continual prayer. Experience in the recent past has taught us the value of continual prayer. So we would like to Celebrate whats already being done throughout our city. Connect the dots to all the prayer efforts taking place. Cover the 168 hrs @ week not being filled. Filling in any GAPS in the wall. We want to honor GOD and agree with GOD what HE is doing in our city.